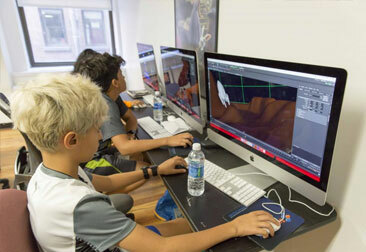 Animate your imagination at the New York Film Academy’s 1-Week 3D Animation Camp for kids! Campers spend one week fully engaged in the world of animation while learning the skills to bring their own work to life. 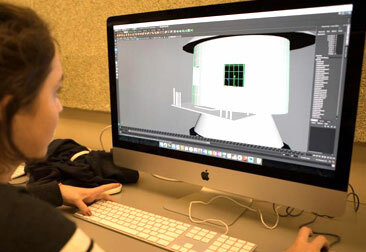 Investigating Disney’s 12 principles of animation as a starting point, our students apply these principles to their own work using 3D Maya, the industry-standard software for today’s modeling and animation. In the 1-Week 3D Animation Camp, animation campers learn classic animation exercises such as pitching a ball and swinging a hammer to learn squash and stretch, weight and muscle tension, overlapping action, anticipation, and follow-through. Each camper writes, directs, and animates their own scene using our pre-rigged character models and sets so they can focus on the creative aspects of story development — and on applying their new animation skills. At the end of camp, student work is celebrating with a screening open to friends and family.